States are used to describe relevant aspects in contexts and how the changes are to affect systems representations and behaviors. On that account, events and states are complementary: the former are to notify relevant changes, the latter are to represent the partitions (²) that makes these changes relevant. Transitions are used to map the causes and effects of changes. Beside alignment with events, defining states consistently across objects, processes, and actors is to significantly enhance the traceability and transparency of architectures designs. Use cases and users’ stories being the two major approaches to requirements, outlining their respective scope and purpose should put projects on a sound basis. To that end requirements should be neatly classified with regard to scope (enterprise or system) and level (architectures or processes). Users stories are set at enterprise level independently of the part played by supporting systems. Use cases cut across users stories and consider only the part played by supporting systems. Business stories put users stories (and therefore processes) into the broader perspective of business models. Business cases put use cases (and therefore applications) into the broader perspective of systems capabilities. Position on that simple grid should the be used to identify stakeholders and pick between an engineering model, agile or phased. As far as modeling is concerned a distinction has to be maintained between the symbolic description of activities and the processes describing their actual execution. Action on symbolic representations without coupling with the context (no change). Action on symbolic representations with coupling with context (change in expectations). Interaction with actual context without direct coupling (change in process status). Interaction with actual context with direct coupling (change in objects). That taxonomy can then be applied to map use cases semantics to architecture capabilities. Time-frames are defined by root events and therefore best defined along the same guideline, namely their scope and the nature of coupling. Symbolic, no coupling: time-frames set by internal events, involving a single actor. Symbolic, coupling: time-frames set by external events, involving a single actor. Actual, asynchronous: time-frames set by external events, involving different actors without real-time constraint. Actual, synchronous: time-frames set by external events, involving different actors with real-time constraint. That taxonomy could be used to align time-frames with processes‘ execution mode. 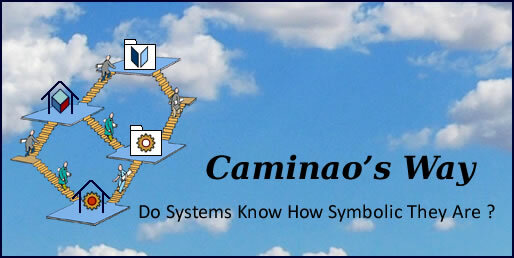 In line with the Symbolic Systems paradigm, events are best understood in terms of interactions between systems (or enterprises) and the environment they represent (or live off). Actual (aka non symbolic) changes in the state of objects. Actual (aka non symbolic) changes in the state of activities. Changes in the state of expectations (e.g requests/acknowledgments). Neutral changes in symbolic representations (e.g messages). It must be noted that while synchronization constraints (e.g UML’s calls vs signals) characterize events’ communication semantics, they say nothing about events themselves. change in a dedicated physical device, ensuring that, according to Einstein, events don’t happen at once.